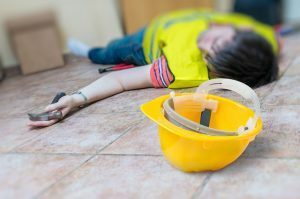 The Pennsylvania Workers’ Compensation Act provides for the payment of cash benefits to an injured work who loses (amputation) or suffers permanent loss of use of certain members of the body. The payments are made at a scheduled number of weeks set by the Pennsylvania Legislature. 77 P.S. § 513(1), et seq. These payments are commonly referred to in workers’ compensation circles as “specific loss” benefits. Importantly, specific loss benefits operate under a long-standing principle that these benefits are to be paid without regard to loss of earning power and even when the injured worker loses no time from work on account of their amputation or permanent loss. See, Lente v. Luci, 275 Pa. 217, 119 A.132 (Pa. 1922). By way of example, if a worker suffers amputation of his pinky finger due to an on-the-job incident, Pennsylvania law provides for a payment of 28 weeks worth of disability benefits at the injured worker’s total disability compensation rate. These 28 weeks of benefits are mandatory and are payable even if the injured worker loses little or no time from work due to his amputation injury. On the opposite end of the spectrum, an alert and aggressive workers’ compensation insurance carrier will seek to use the specific loss statute to limit an injured worker’s compensation when the scheduled loss provides for less than the number of weeks of total disability (absence from work) being experienced by the injured worker. To illustrate this point let’s assume we have an injured worker who suffers an amputation or permanent functional loss to her great (big) toe. The injury causes the injured worker to be placed under medical restrictions preventing her from working and she remains out of work for a total of 52 weeks receiving wage loss benefits. At or near the expiration of 52 weeks the workers’ compensation insurance carrier will seek an Order from the Court declaring that the big toe loss is now a “specific loss”, that injured worker has received her statutory allotment of cash benefits, and unless she can show that she has some additional injury that is “separate and apart” from her big toe loss her cash benefits must be stopped. The injured worker will then need to prove to the Court that she has some distinct and separate physically or emotionally disabling injury preventing her from returning to work. If she is unable to do so her cash benefits will end. We have seen many cases where insurance carriers have taken advantage of injured workers’ legally protected rights to receive compensation for specific loss and disabilities suffered on account of an amputation or permanent loss of use. Review your specific loss rights with a skilled workers’ compensation attorney to be sure that you receive all compensation benefits owed under the Pennsylvania Workers’ Compensation Act.